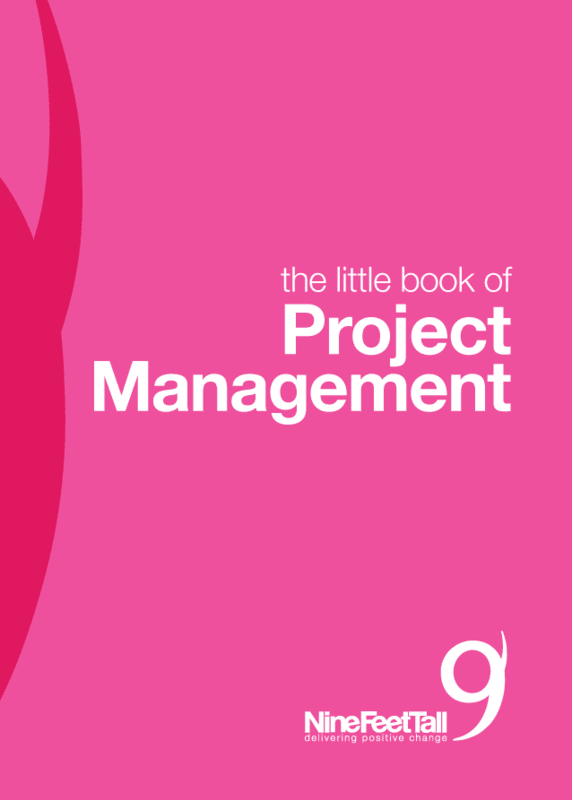 On the 1st day of Christmas my PM gave to me….an appropriate project methodology. Waterfall vs Agile. Choose a methodology that is best suited to your project to ensure cost-efficient and effective project delivery; Waterfall is suited to projects where detailed planning work is required upfront, for example, physical objects. All steps are laid out, dependencies mapped and you move onto the next stage only after completing the one before it. Agile, on the other hand, is a fast and flexible approach based on principles of collaboration, adaptability and continuous improvement. Non-physical deliverables like software are often developed in an agile fashion. Unlike the orderly stages of a waterfall approach, agile is set up in quick, iterative release cycles. On the 2nd day of Christmas my PM gave to me…concrete project milestones. Milestones are the major checkpoints throughout a project lifecycle which should be achieved to reach success. These should be defined upfront at the start of the project and set in stone allowing the project manager to measure and report against progress throughout. As well as defining the milestones themselves, define the entry and exit criteria for each to ensure consistent project delivery. If your project is part of a larger programme, it is critical to define consistent high-level milestones across the programme to ensure equivalent measures of progress – this will assist in creating an overall programme plan. On the 3rd day of Christmas my PM gave to me…a detailed project plan. “Plans are useless, but planning is indispensable”. This famous quote by Eisenhower highlights that creating a plan is not a one-off activity. The project manager is continually responsible for updating the project plan with new information and targets as the project progresses – project team members should collaborate to provide relevant information to feed into the plan. Although the plan should contain enough detail for the project manager to know what tasks are scheduled on a weekly basis, planning activity should not impede actual project delivery. On the 4th day of Christmas my PM gave to me… clear and articulated benefits. Ensure your project benefits align to the overall business strategy and ensure they will add value to the business early on in the project lifecycle. You should ensure that desired business change outcomes have not only been clearly defined but are measurable and provide a compelling case for investment. These benefits should be measured and reviewed throughout the project lifecycle as well as at project completion. Assign benefits owners to manage and monitor achievement of the benefits. On the 5th day of Christmas my PM gave to me…a P M O! In the deep midwinter, do you ever feel like there aren’t enough hours in the day to manage your project deliverables? To keep on top of your risk and issues? To book rooms for all your meetings next week? A PMO (Project/Portfolio/Programme Management Office) can come to your rescue and help keep your project on track. As a central project hub, there are varying maturities of PMO, however, it is typically responsible for project governance, reporting, planning, quality assurance, change management, risk and issue management, communication, budget management and enforcing overarching standards. More advanced PMOs can even get involved with recruitment, evaluating project manager’s performance and project prioritisation. On the 6th day of Christmas my PM gave to me…an online collaboration tool. Ensure your project team have access to online collaboration tools such as Yammer and Lync to allow fast and efficient communication, leading to faster and efficient project delivery. To avoid costly rework down the line, stakeholders need to understand critical dependencies in workload and between other potential projects. Daily stand-up meetings work well for local project teams – do not let distance be a barrier. Conference calls or Skype are apt tools for regular project updates. On the 7th day of Christmas my PM gave to me…a risk and issue management log. Ensure project risks and issues are recorded and reviewed on a regular basis and define a consistent system for scoring them – a ‘red’, ‘amber’, ‘green’ (RAG) system often works well. This information should be shared with key project stakeholders on a regular basis to ensure all risks and issues are identified and fully understood and so that mitigations can be agreed. This tool will also form a basis for reporting to senior project sponsors – they will want to be informed whether there are any risks or issues posing a threat to the success of the overall project, for which their neck is ultimately on the line! An online central doc repository like Sharepoint, JIRA Confluence or Google Drive allows all project deliverables to be stored in one place, accessible to all stakeholders at any time. It allows for only ‘one version of the truth’. A PMO function can also upload ‘best practice’ project templates for project managers to complete which allows consistency and aids the quality assurance process. Nine Feet Tall are experts in project management and PMO set-up and delivery. We are experienced in complex IT and business change programmes from start to finish – whether it be project mobilisation and kick-off, project planning or budget tracking you are looking for, in our hands your project is delivered on time and to budget. For further information, email estherm@ninefeettall or call 0203 1264412.